It doesn't matter how old we are: The beginning of September will always remind us of heading back to school, and our shopping choices will be guided accordingly. (Fancy stationery? Yes, please! Trim, tweedy blazers? Sign us up!) So we're grateful that today there are so many chic backpacks that are actually suitable for adults—because we're a little too old to be revisiting the Lion King version we toted through grade school. 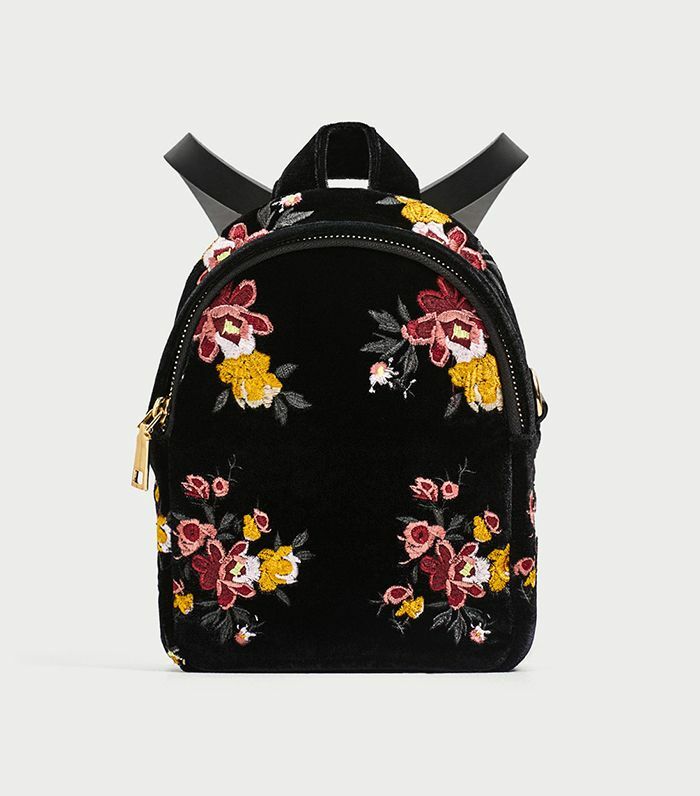 On the luxury end of the spectrum, Fendi's rainbow-studded mini bag and Chloé's metal chain Faye backpack are covetable enough to save up for, while on the more approachable end, Urban Outfitters and Zara each have a cache of fun options that you can afford with little more than lunch money. Choose from leather, suede, canvas, or even pierced black satin (a personal fave by 3.1 Phillip Lim)—whichever you opt for, we're certain it'll be an improvement on the old beat-up rucksack you used to toss your algebra textbook in. Below, shop 16 backpacks good enough for grown-ups. Velvet season is back, and we won't lie: We're pretty excited about it. Kara's bags are durable and versatile enough to wear every day. This is a slimmed-down version of Everlane's best-selling backpack, with an even better price. You could get a new piercing—or you could get this badass backpack. You can't go wrong with classic canvas. Roomy enough to pack all your stuff but still luxe-looking. Chloé's street style–fave bag now comes in a backpack version. This sleek shape is perfect for carrying a laptop. This rich navy is an appealing alternative to black. We can't get enough of these rainbow-hued studs. This leather will only get better-looking with age. Corduroy is a quintessential fall fabric. For that sleek aesthetic, Wang is number one. Up next, read about the shoes 10 editors won't travel without.